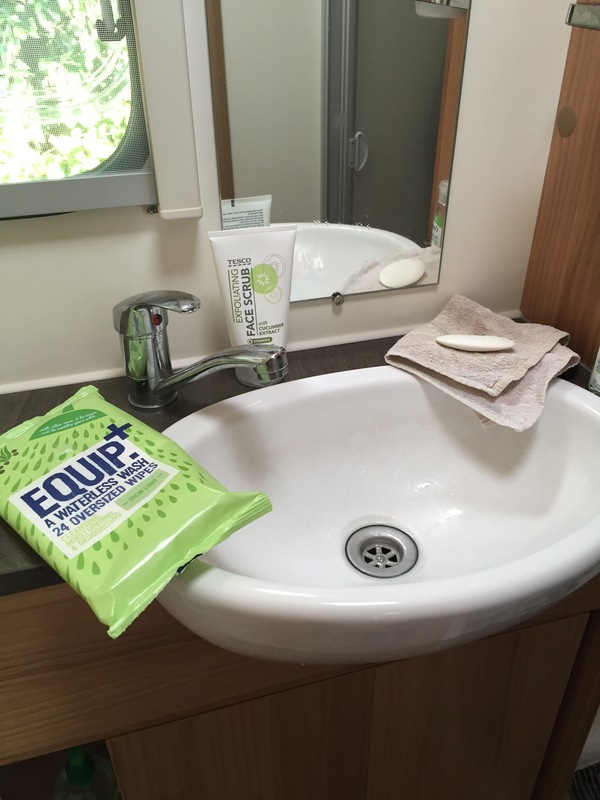 We took Equip Waterless Wash Wipes away in the caravan with us. The first morning we set ourselves the challenge of using the wipes instead of washing/showering. We were impressed with the way the wipes worked. They certainly freshened and gave you that ‘just washed’ feel even on your underarms. They are thicker and stronger than a normal wipe and are extremely moist which lasts quite a while whilst being used. They are PH balanced and dermatologically tested so great for most skin types. They produce a soap as you rub leaving you looking and feeling fresher. The heat of the day meant that the wipes were also used later in the day to wash away the heat and grime of the day. 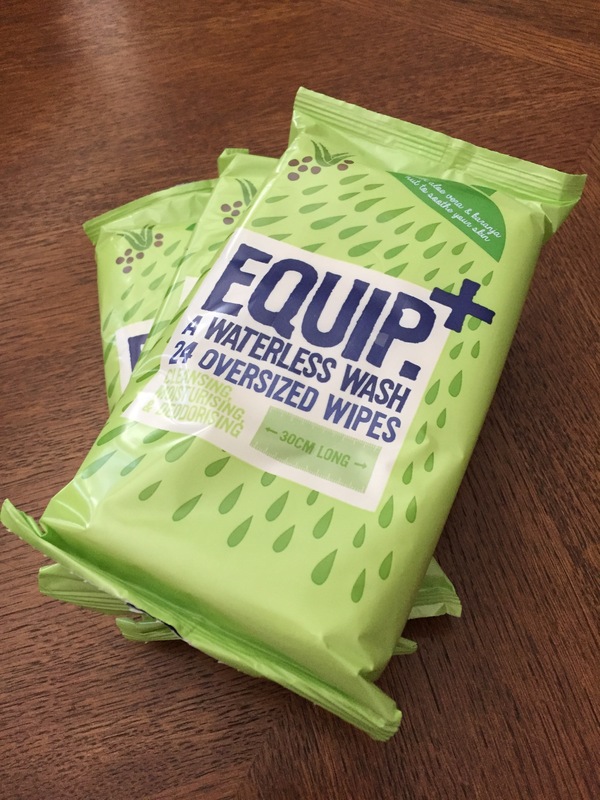 The wipes are perfect for those moments when you can’t get to soap and water but really need to. 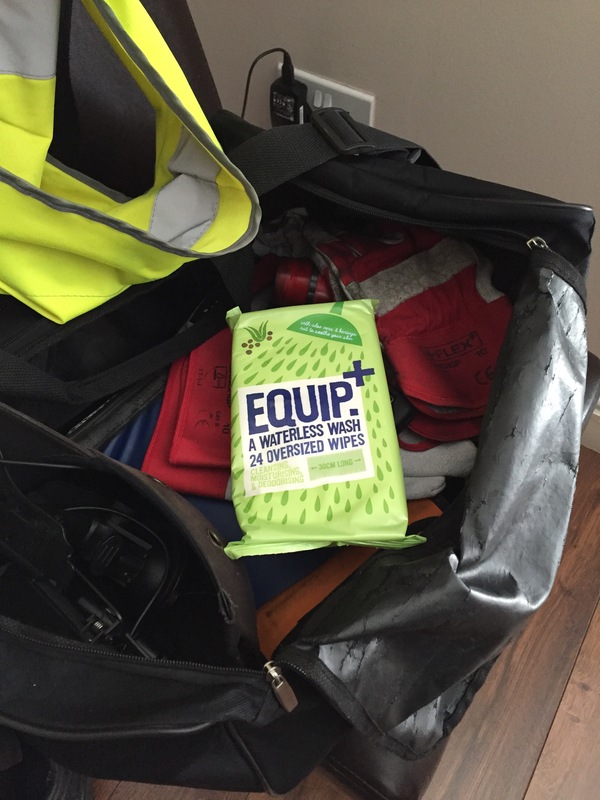 They come in a pack that is easily stored in your bag and provide a wipe bigger than the average wipe. Great for festivals, camping, sports, long car journeys and even work. Another hot day today so the OH took them to work with him. He is an HGV driver and on days like today was grateful for the chance to be able to freshen up between drops. Would we buy them again? Yes, I think we would.